Bezeichnung: DS2246 Disc Enclosure (NetApp P/N: 111-00804 D0). 24x Festplattenschächte Unterstützte Formate: SSD 6G DP SP, SAS 6G DP SP, SAS 3G DP SP. 2x SAS I/O Module Informationspflicht gemäß Batteriegesetz (BattG). 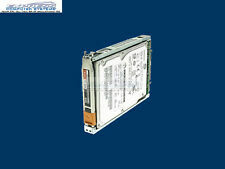 Bezeichnung: StorageWorks D2700 Disc Enclosure (HP P/N: AJ941A AJ840A). 25x Festplattenschächte Wahlweise RAID 0, 1, 5, 6, 10, 50 oder 60. Informationspflicht gemäß Batteriegesetz (BattG). Ihrer Daten. Up for sale is a Synology DiskStation DS412 4-Bay (Diskless) Network Attached Storage unit. Does not include any hard drives. Our technicians specialize in Dell models ensuring that your unit will arrive on your doorstep with quality components and performing at optimal efficiency. Model: MD1000. SAN Storage. Build an array (if applicable). Works well, fully tested and wiped. Reset to default Synology login settings of "admin" with no password. (Drive trays will still be included, of course.). Includes a generic power brick. This array has been reset to defaults and is in excellent working condition. This array has 12x 3.5" LFF drive bays and takes IBM System Storage hard drives only. The IBM system part number is 1746-C2A. PN: 7V250, HRT01, W25F7, J3R23, W2PM3. Boardroom Technologies will provide top level service and will do everything in our power to satisfy all your needs. San Jose CA 05134. K&K disk arrays corp.
HP StorageWorks D2600 storage Enclosure. 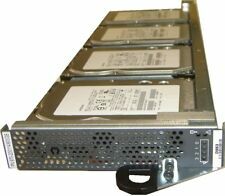 ·4 x 3.5” 2TB SAS 7.2k Drives ( genuine HP drives but no Label). · 2x SAS 6gbs I/O Card. However we may use our discretion also to provide the safest and best service. 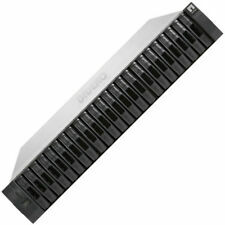 HP Storageworks D2600 2U 12 x 3.5" SAS Bays 2x SAS I/O. Model No: D2600. Storage Capacity - The LFF D2600 disk enclosure supports up to 12 (twelve) 6G LFF SAS drives for a maximum capacity of 7.2 TB with 6G 600GB SAS drives or 24 TB with 6G 2 TB SAS MDL or 3G 2 TB SATA MDL drives. Netgear ReadyNas NV "RND4000" V3, 2To. Vendu avec disque dur BARRACUDA GREEN ST2000DL003, 2 To, 5900 rpm. (Nouvelle Calédonie, Polynésie Française, Wallis et Futuna, les Terres Australes et Antarcticques Françaises.). We will issue you an RMA, upon receiving the product back it will go through inspection against prior out going photos, etc. We will provide you RMA#. Note: these enclosures do not included hard drives. MSA 2040 12x 3.5" LFF Chassis. 2x AC Power Supplies. 2x Rack Mount Ears. RNDU 400 0-100PES. Netgear ReadyNAS Ultra 4 RNDU4000-100PES. Netgear ReadyNAS Ultra 4. Greifen Sie jederzeit und von überall her auf Ihre Daten zu – mit dem sicheren Drag-and-Drop ReadyNAS Fernzugriff. 1 x HP StorageWorks D2700 storage Enclosure AJ941A 25x LFF 2x SAS 6gbs I/O Card. 1 x HP StorageWorks D2700 storage Enclosure. · 25 x 2.5” Drive support (10 caddies fitted the other 15 bay are empty no blanks). WHAT'S INCLUDED: - 1 x Array ONLY. TESTING: - Working Order. WHAT'SNOT INCLUDED: - Hard Drives / Other accessories / Cables / Software / Installation advice etc. CONDITION: - Exterior / interior is in okay condition. 2x EMC VNX 2-Port 10GbE Ethernet iSCSI Slic Optical 303-195-100C-01. 2x EMC VNX 4-Port Fibre Channel I/O Module 4x 8Gb SFP 303-092-102 Rev, C11 B. Vendor: EMC. IBM System x3650 M4 19" 2U Server 8x 2,5" SFF 2x I. Our technicians specialize in HP models ensuring that your unit will arrive on your doorstep with quality components and performing at optimal efficiency. Model: StorageWorks D2600. SAN Storage. Manufacturer HP. Dell EqualLogic Complete Rapid Rail Kit. For 2U and 4U Models. Boardroom Technologies will provide top level service and will do everything in our power to satisfy all your needs. HP P2000 Dual I/O LFF Drive Enclosure - AP843A and 2xAP844A. However we may use our discretion also to provide the safest and best service. Serial numbers : All relevant serial numbers are logged in a data base, we also use warranty stickers where appropriate. · 2x SAS 6gbs I/O Card. HP StorageWorks D2700 storage Enclosure. · 25x 2.5” Drive support (bare). · I am including a set of rails. However we may use our discretion also to provide the safest and best service. Dual 700 watt power supplies installed. Product Information. Testing & Warranty Details. They have been flashed to the lastest available M114P01-01 firmware. The HP part numbers are 490092-001 and AJ798A. We will resolve the problem directly with you. 4GB (2 x 2GB). Port RJ-45. 4 x USB 3.0 port (Front:1, Rear:3). Port Others. 4 x Gigabit RJ-45 Ethernet port. 2 x SATA (2 x Bay). Syetem sleep mode: 1.18W. Hard Drive Performance. DELL POWERVAULT MD1200 12X 3TB Enterprise SAS Hard DRIVES. great for Dell Servers: such as R710, R610, R620, R630, R510, R410, R720,R730 2950, etc(Not for MD storage such as the MD3200i). SAS cable(SFF-8088 cables) to attached to your array are included. Model PowerVault MD1120. Installed Storage Capacity 12x 146GB 10K SAS; Blanks Not Included. Drive Performance 15K SAS in: 73GB; 10K SAS in: 73GB/146GB. Maximum Capacity Maximum Supported Capacity of 3.5TB as 24x 146GB 10K SAS HDDs. The HP part number is AP838A. For sale is an HP P2000 G3 MSA 12x 3.5" LFF Modular Smart Array Chassis. These chassis' are tested and in excellent condition. This is the chassis and power supplies only. For sale is a Dell Compellent SC220 2U Expansion Enclosure. We will resolve the problem directly with you. Installierte Anzahl Festplatten 0. Anzahl Festplatten 24. ohne Festplatten. Festplattentyp SAS, SSD. SAS I/O Module 2. RAID- & SCSI-Karten. Verwaltung - RS-232 - 3,5mm mini jack 2. UNSERE KATEGORIEN. DELL POWERVAULT MD1220 24X 900GB 10K SAS Hard DRIVES. Perfect Expansion/Jbod forDell Servers such as R710, R610, R620, R630, R510, R410, R720,R730 2950, etc (Not to attached to a MD3200i or other dell MD storage arrays). Die Funktion ist einwandfrei. Die Ware wurde gereinigt und getestet.